We're drowning in a sea of sensory overload and too much stuff...cheap, mass-produced, crappy stuff. But there's got to be a better way, and The Minimalists show it to us. 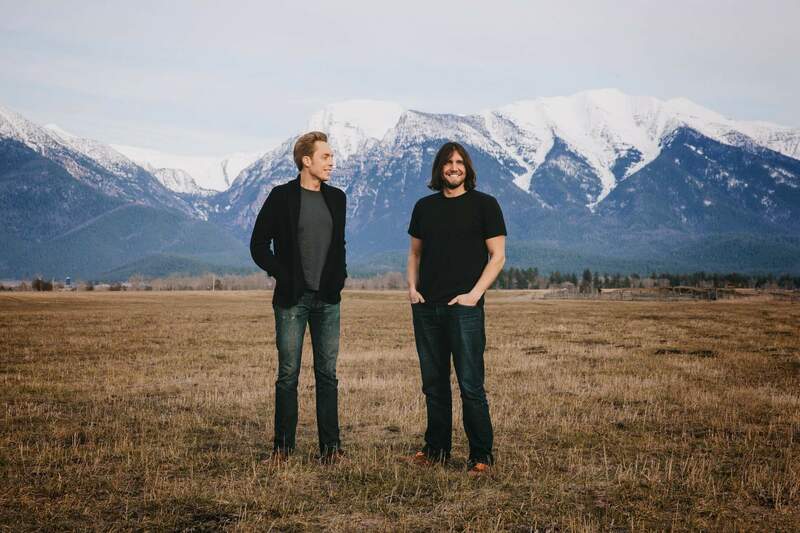 Life-long buddies Joshua Fields Millburn and Ryan Nicodemus run the website and podcast called The Minimalists and have published several best-selling books together. But the first time I heard about them was when I watched the new documentary film Minimalism which played in my local theater June 28. The film centers around a book tour Millburn and Nicodemus conducted across the United States to promote their journey out of lucrative corporate jobs and into the minimalist lifestyle, but woven into the loose narrative are interviews with notable voices in the minimalism and mindfulness movements. Some of the featured guests are people I’m familiar with, including Dan Harris of ABC Nightline fame and author of the excellent semi-autobiographical book on mindfulness 10% Happier. The film touches on several movements that have cropped up in recent years as a counter to the big-box, three car garage, disposable lifestyle that’s basically the norm in today’s culture. Several of the people interviewed live in “tiny houses” and prioritize minimizing waste and living economically. Others live in more traditional apartments or single-family homes but have methodically gone through all their possessions and eliminated all but the essentials and those things which align with their personal values. While the film didn’t specifically call out the KonMari method made popular by Marie Kondo’s wildly successful book The Life-Changing Magic of Tidying Up, many of the concepts covered are quite similar. Our family has been actively using the KonMari method for the better part of a year now to get rid of excess stuff, simplify our lives, and showcase objects which “spark joy” and bring about greater wellbeing. I can’t say enough good things about the KonMari method and was a little disappointed it didn’t get mentioned in the documentary. Minimalism also raises the issue of constant distraction we now have to deal with on a daily basis, with the plethora of internet-connected devices at our fingertips and the limitless stimulation available at a tap or a swipe. The drive to do more, play more, learn more, sell more, or buy more in an “always-on” world is creating a nation of stressed-out, overworked, unhealthy, and unhappy people. The irony is, the more we seek happiness from our “stuff” and our gadgets, the less happy we actually are. In contrast, mindfulness meditation gives us a tool to jump off the hamster wheel and provide a space for mental focus and spiritual contemplation. By choosing consciously to remove all distractions, we can discover what is truly important to us. I found myself tearing up when Joshua Fields Millburn talked about his year from hell (2008, prior to his entry into minimalism) when both his mother died and his marriage ended. Many of us have had clarifying experiences in life which cause us to question everything, but what struck me as particularly poignant was his comment that he wished he’d been able to spend more time with his mom. My own mother passed away in 2006, and her absence is still keenly felt. I think, at its heart, minimalism is about being fully intentional to live a life congruent with an our innate spiritual compass, and in doing so, we honor not only the dead but the living. Minimalism is ultimately a documentary about people who care more about people than things, who prioritize quality over quantity, and who value environmental sustainability over the rank commercialism of consumer culture. While I felt the film could have been a little bit shorter or alternatively more diverse in its range of viewpoints, it nevertheless is a good window into the philosophy of minimalism and a worthy depiction of those who practice it. I enthusiastically recommend you watch it and allow it to be a springboard for further exploration of your own lifestyle.